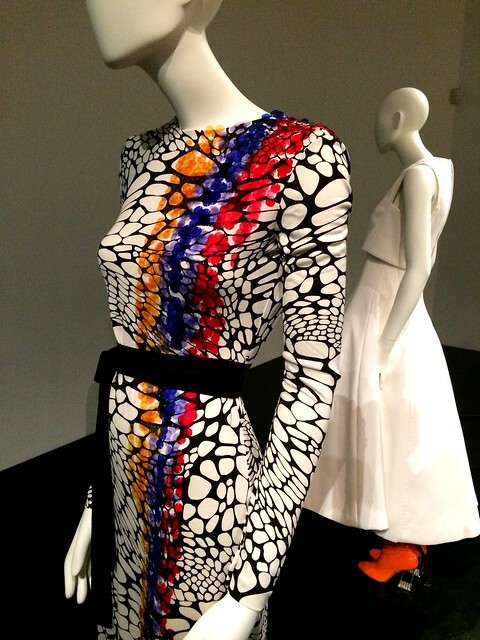 Dress by Diane von Furstenberg (left) and Raf Simons for Dior (right). 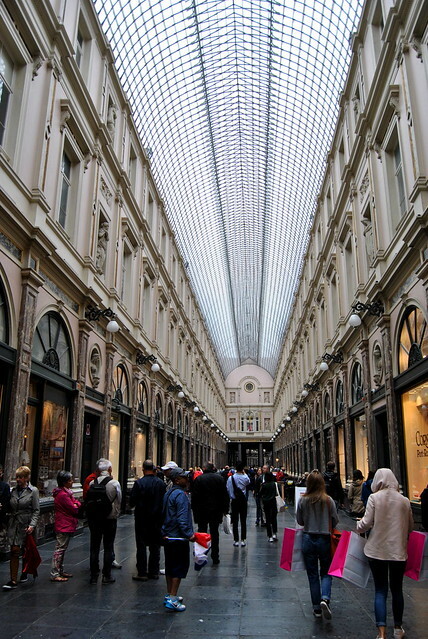 Belgium may be a small country, but it certainly is great in fashion ! Raf Simons, Dries Van Noten, Martin Margiela, AF Vandevorst, Diane von Furstenberg and so many other designers have put Belgium on the map of fashion… Fashion with a capital F that is… Ever since the eighties, Belgian fashion designers have been hugely important in the international fashion world. Bozar and MAD Brussels now present an exposition which can still be visited until September 13th in Bozar, Brussels : The Belgians. An unexpected fashion story. 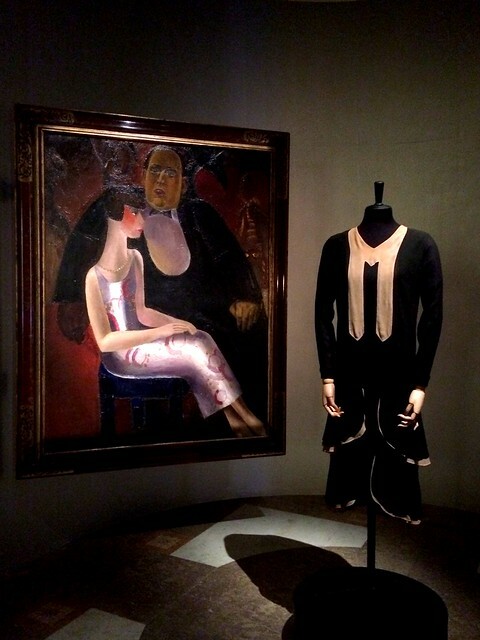 Creation by Maison Noirine, Brussels fashion house from the first half of the twentieth century, run by Honorine Deschryver and Paul-Gustave Van Hecke (pictured on the painting from Frits Van den Berghe). 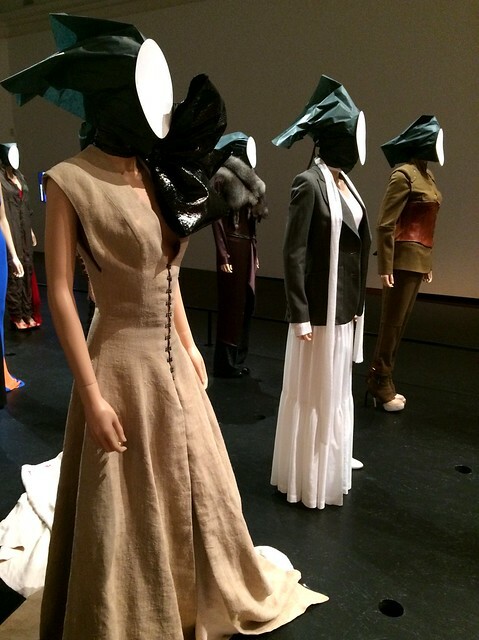 After visiting the retrospective of Dries Van Noten in MoMu Antwerp (see my post here) and the exposition of Karl Lagerfeld in the Bundeskunsthalle in Bonn (see my post here), this was the last fashion exposition on my list this summer. Last Thursday I (finally) visited this exposition with my sister Cindy. 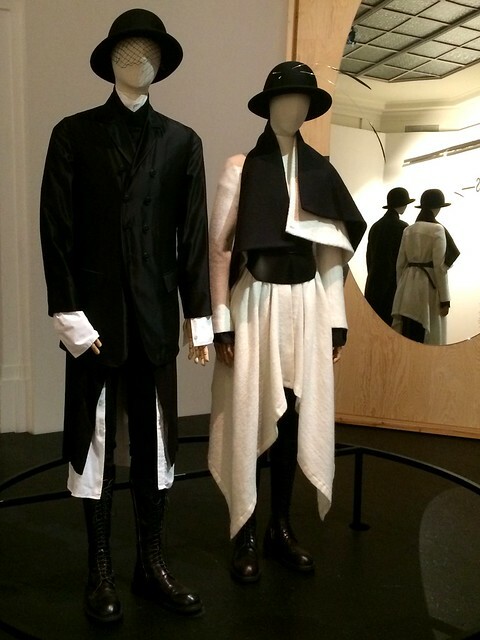 This exposition goes beyond the famous ‘Antwerp Six’. It is very complete and thus shows the beginning of Belgian fashion, the first fashion houses, the success of the ‘Antwerp Six’, international successes, the various Belgian fashion academies (the Royal Academy of Fine Arts of Antwerp was recently ranked third in the Business of Fashion Global Fashion School rankings), etc. Over 100 designers are on show and walking past all the designs, makes you realise how far ahead of their time most of these designers were. Creations from 20, 30, 40 years old still are trendy and wearable today. 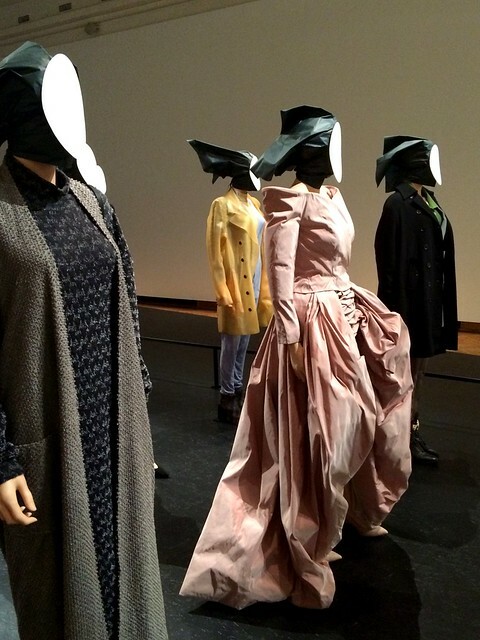 Creations by Martin Margiela (left), Dirk Van Saene (yellow), Natan – Eduard Vermeulen (pink) and Annemie Verbeke (far right). Creations by Olvier Theyskens, Veronique Branquinho and AF Vandevorst. 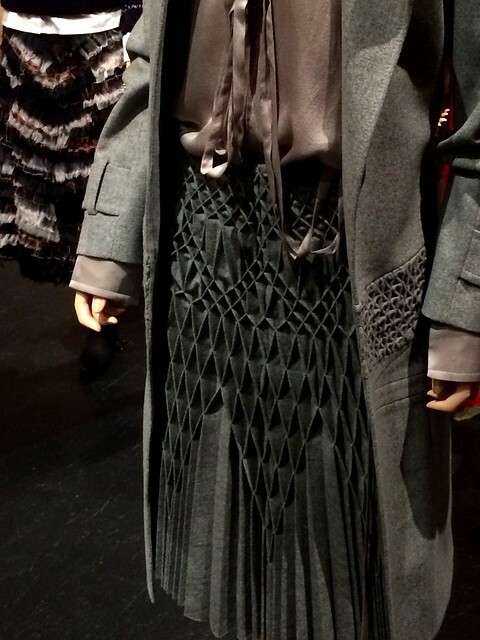 Architectural detail from a Haider Ackermann design. Creation by Tim Van Steenbergen for the ballet ‘Romeo and Juliette’ by the Royal Ballet of Flanders. At the cross : dress designed for the statue of the virgin Mary, St. Andrew’s church, Antwerp. 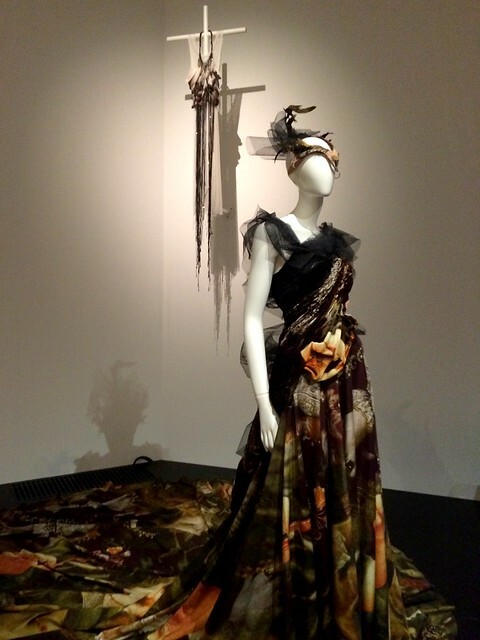 We were impressed by the exposition and we can only recommend it to other fashion freaks. If you should still find the time, try and visit this exposition… it’s nearing its end as it is on show until September 13th ! Of course, after a bit of culture, we had to take care of our inner person as well… We went to a little brasserie in the St-Hubertus Gallery to have lunch. Mokafé is an old-fashioned, little brasserie. The staff is really friendly, they have great, affordable food and it attracts all sorts of visitors… tourists as well as locals. Definitely recommended ! 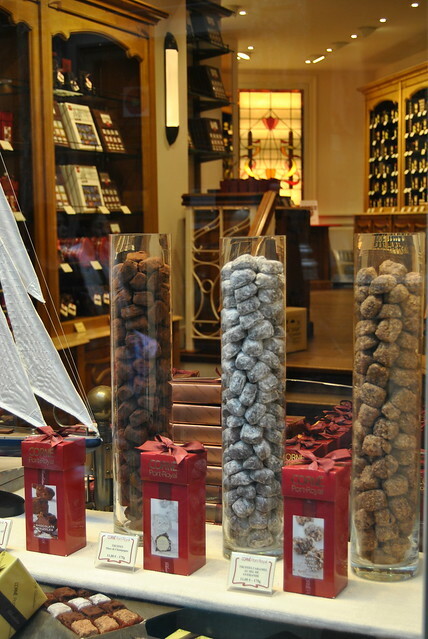 After our lunch we did some windowshopping in the St-Hubertus Gallery… so many fine chocolatiers with such beautiful show windows… mmm… Belgium is not only know for its fashion designers but also for its fine chocolate as you probably already knew ! 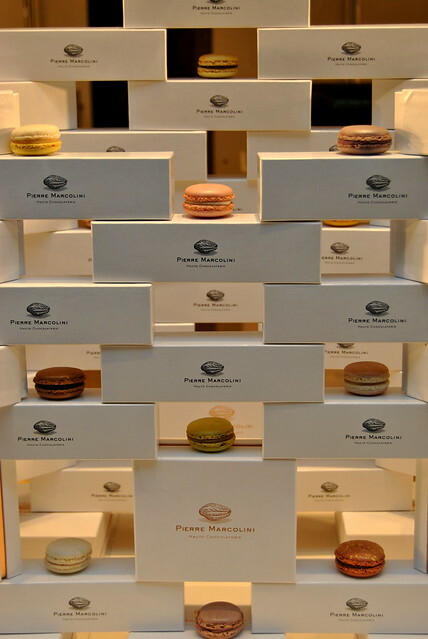 Sweets for my sweet… Macarons by Pierre Marcolini. 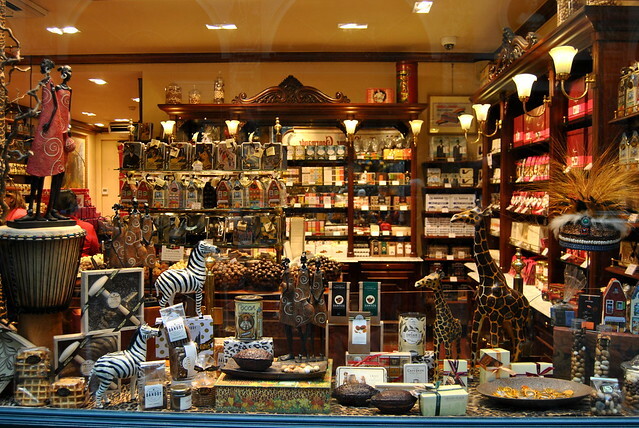 Fab window displays at the St-Hubertus Gallery. In the afternoon we went to the trendy Dansaertstraat… so many beautiful stores like Bash, Marc Jacobs, Filippa K, Essentiel, Stijl,… We did some research for fall but did not buy anything… how good are we 🙂 (but if it wasn’t for my 50-day challenge I might have bought something !). To finish our trip, we washed everything down with a glass of chilled white wine at Le Cirio, an art deco styled brasserie. 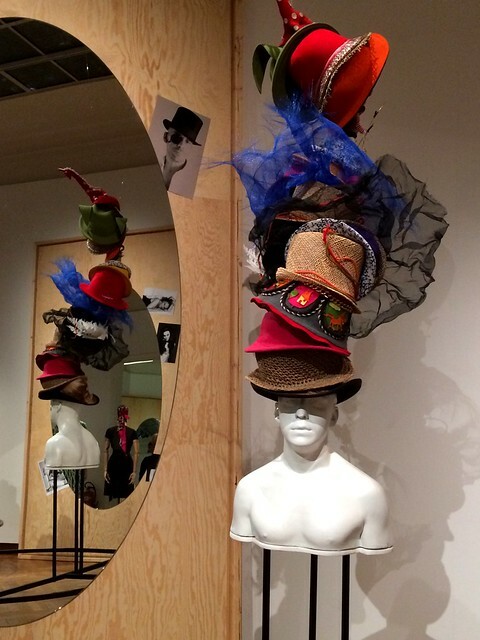 This entry was posted in Belgium, Fashion, Fashion top tips, Travel and tagged bozar, brussels, dansaertstraat, hubertus gallery, the belgians, trips. Interesting pictures. I have never been to Brussels before but I am looking forward to visiting it soon. When are you planning to visit Belgium? Not too sure. It has been on my travel list for years now. Maybe next year.